Patellar Tendonitis (Jumper’s Knee) - Patellar tendonitis is an injury that affects the tendon connecting your kneecap (patella) to your shinbone. The patellar tendon plays a pivotal role in the way you use your legs. It helps your muscles extend your lower leg so that you can kick a ball, push the pedals on your bicycle and jump up in the air. Patellar tendinitis is most common in athletes whose sports involve frequent jumping — for instance, basketball, soccer and volleyball. For this reason, patellar tendonitis is commonly known as jumper's knee. However, anyone can suffer from patellar tendonitis, whether a frequent jumper or not. For most people, treatment of patellar tendonitis begins with conservative approaches. The knee cap is technically known as the patella. The patellar tendon connects the kneecap (the patella) to the shin bone. This is part of the 'extensor mechanism' of the knee, and together with the quadriceps muscle and the quadriceps tendon, allows your knee to straighten out, and provide strength for this motion. The patellar tendon, like other tendons, is made of tough string-like bands. These bands are surrounded by a vascular tissue lining that provides nutrition to the tendon. Patellofemoral Syndrome - Patellofemoral pain is a common knee problem. If you have this condition, you feel pain under and around your kneecap. The pain can get worse when you're active or when you sit for a long time. You can have the pain in one or both knees. The exact cause of patellofemoral pain isn't known, but it most likely has to do with the way your kneecap (patella) moves on the groove of your thigh bone (femur). Dr. Michael Horowitz offers a 5-Step process to successfully treating Patella Tendonitis. He can help evaluate & diagnose your condition and recommend the best course of action for you. Call Vancouver Orthotics at 604-737-3668 for more information. What is the most effective treatment for patella tendonitis? 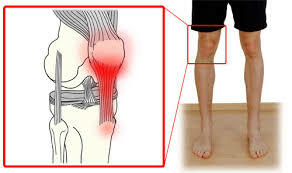 What exercises & stretches do you recommend for patella tendonitis? What other symptoms are most commonly associated with patella tendonitis? What shoes are best for patella tendonitis? Where can I get medical hardware for patella tendonitis?